A Loxone Smart Home takes care of thousands of everyday tasks for you, without you even having to lift a finger. 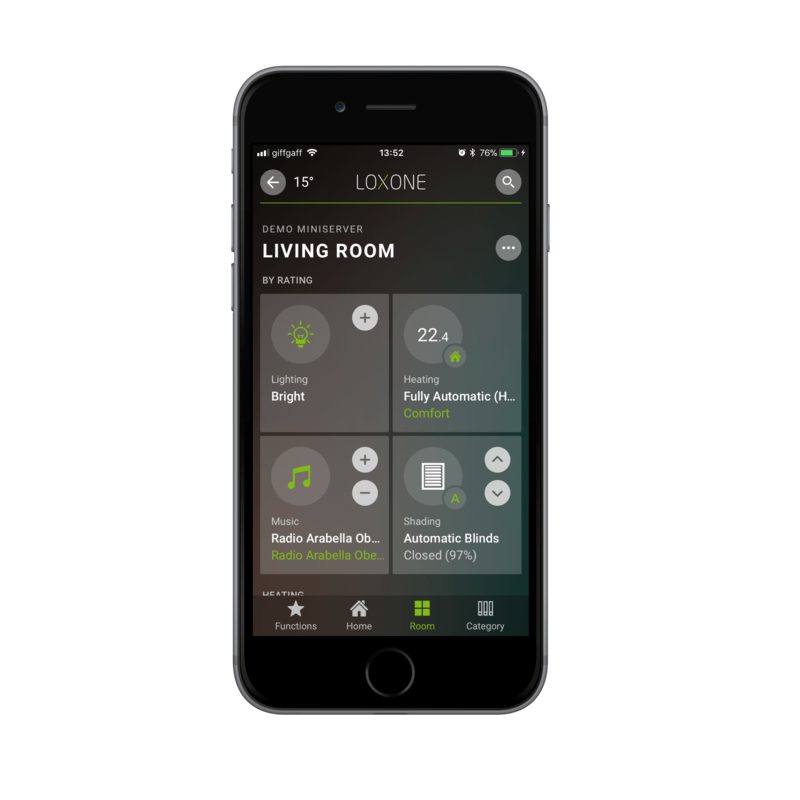 You can take control at the touch of a switch or with the Loxone Smart Home App. 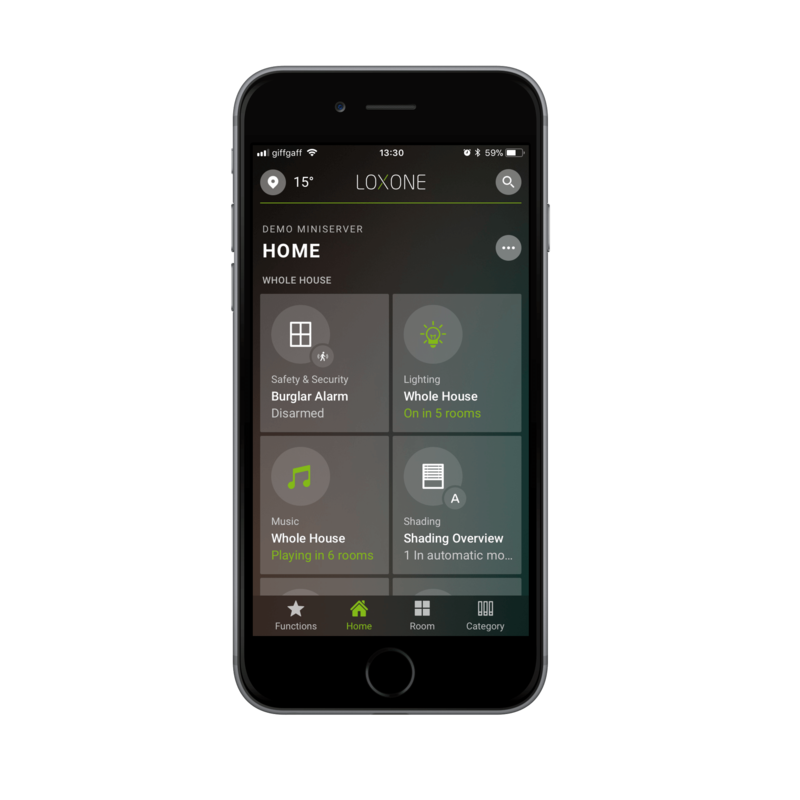 At Loxone, we’ve developed the most powerful smart home app – and it’s totally free! 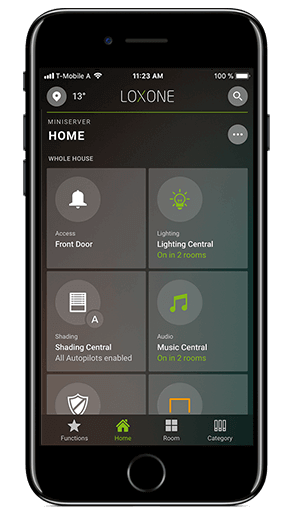 Whether iOS or Android, smartphone or tablet, for your lighting, heating or security or even your pool or car charger – you can control it all with the Loxone Smart Home App. 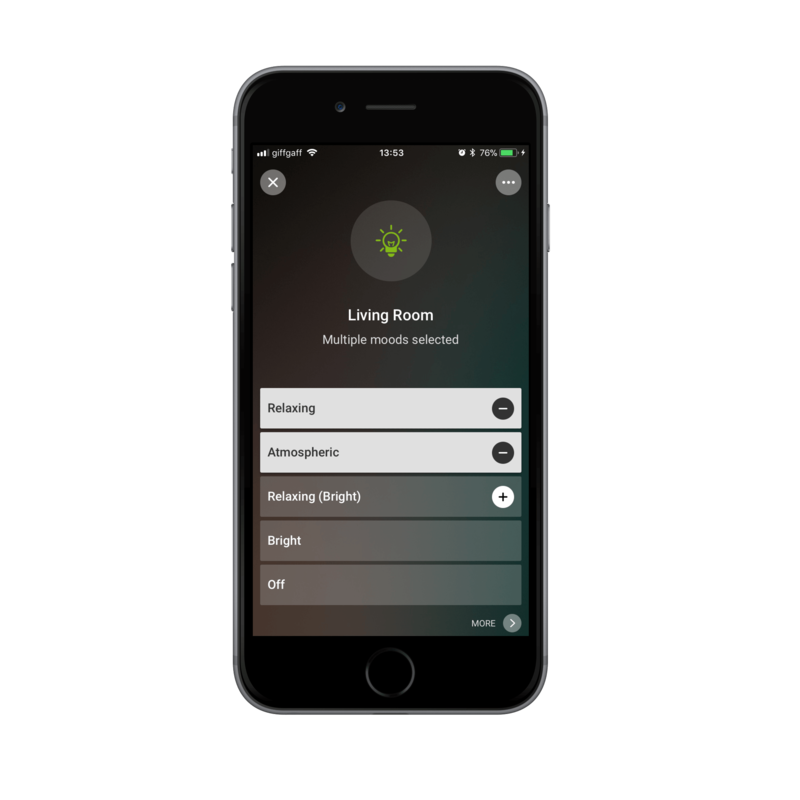 Use the app on any device of your choice – your home can be controlled in any resolution. Your most important functions – always at hand. 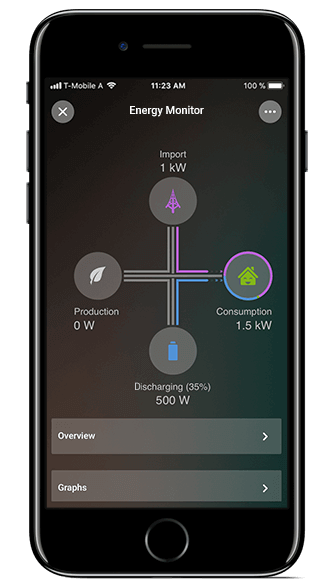 The Functions tab in the app will show you the individual functions in your smart home that are most important to you. These may be actions you would want to use regularly – such as opening your garage door. 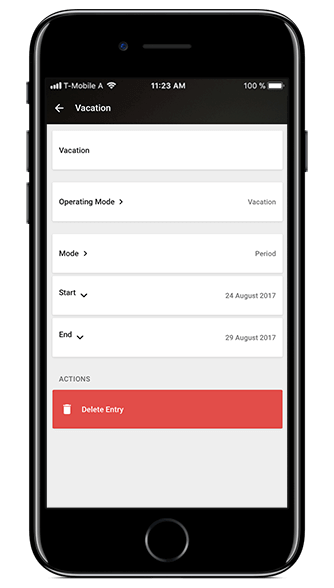 To add a function to this tab, search for the function using the magnifying glass in the top right-hand corner of the app and tap on your desired function. Then go the interface settings via the ellipsis icon. From there, ensure your function has a rating of at least 1 star and that ‘Display in Favourites’ is toggled on. Your home – always in view. The Home tab will show you Overview tiles for lighting, heating, and security. This view is intended to display an overview of whole house features. To add a tile to this tab, search for the feature, tap on the result and go the interface settings from the ellipsis icon. Here, you will need to give a rating of at least one star. The more stars you select, the higher up on the list the tile will appear. Only features where the ‘Room’ is set to ‘Whole House’ can be displayed in this Home tab. Removing the star rating for a tile will remove it from this tab. Rooms & Categories – in the foreground. With the “Room” and “Category” tabs, you can place relevant rooms and categories in the foreground according to your preferences. This means you’ll have quick access to the rooms or categories that are most important to you. The rooms and categories you rarely use are listed below your favourites in alphabetical order. You can assign a star rating to individual functions within a room. 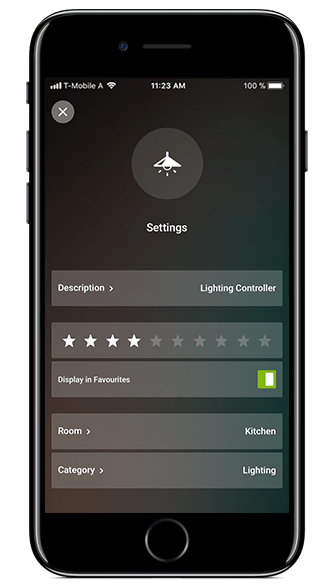 For example, you could position lighting and music at the top of your living room by giving them more stars in the interface settings. This means you’ll always have quick access to the living room functions you use the most. Take a tour around our new app and familiarise yourself with all the new features by watching these short video clips. 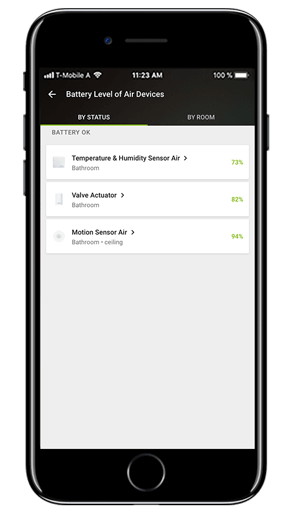 With the Loxone Smart Home App, you can view and adjust all the primary functions within a room and view important information and notifications all from one screen. 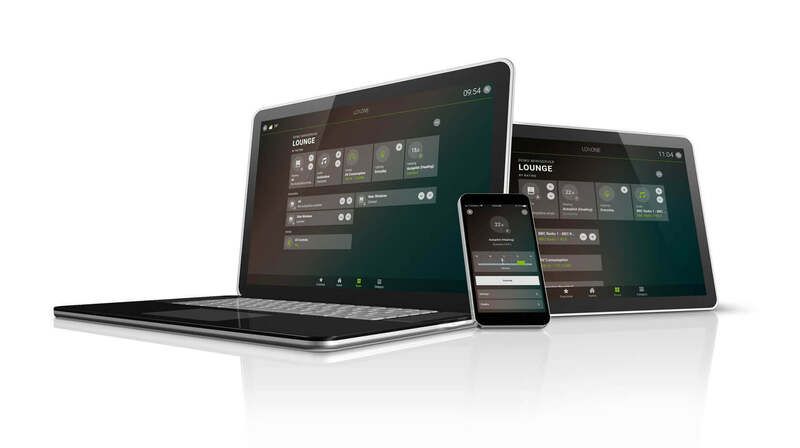 The Loxone Smart Home App turns your tablet into the perfect control centre, either mounted on the wall or just on hand nearby. Use it to change the lights, answer the door and so much more. 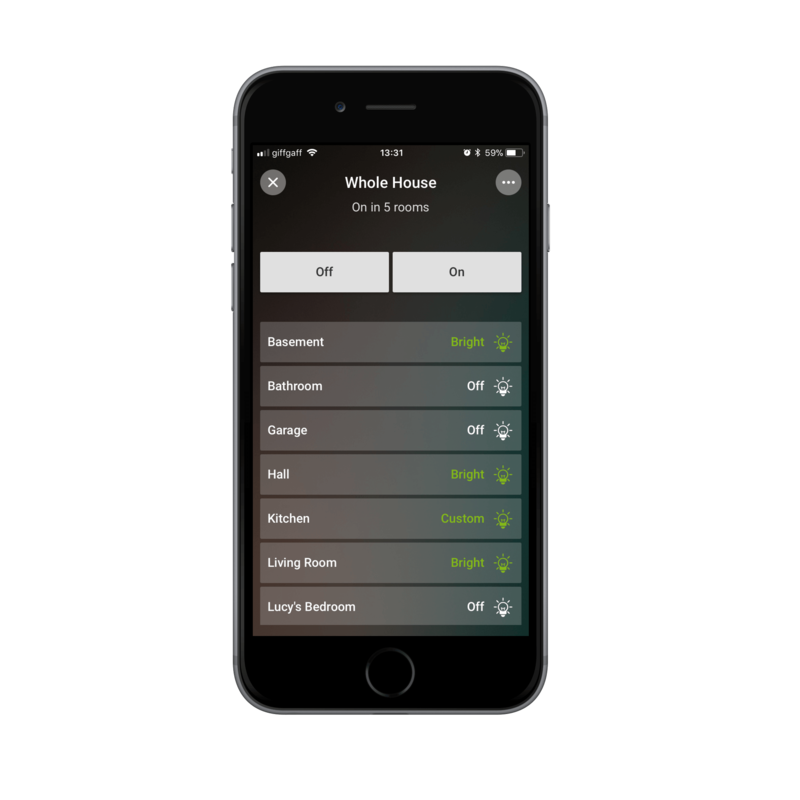 Even more smart home functionality straight from the app! 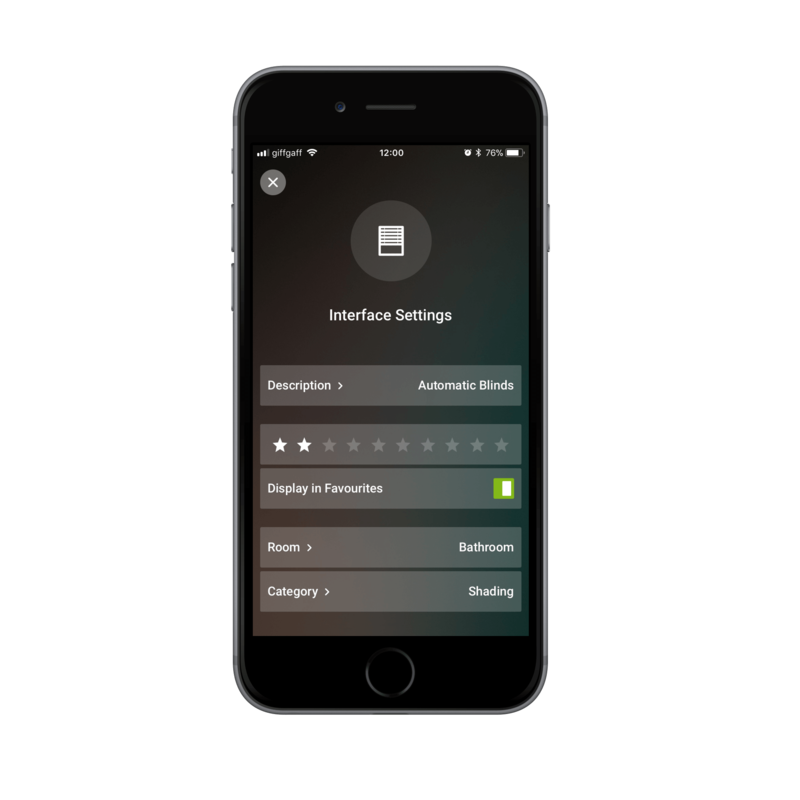 With Autopilot Designer you can choose from a range of events (for example: sunset, operating modes, light scene, …) and then define an action (activate a specific light scene, send a push notification, trigger a command and so on). Focus on functions, rooms and categories that are important to you and which you need regularly. Using the new individual star ratings, you can have everything important at hand and always in view. Change the look and feel of your home from the comfort of the sofa. Create and save new lighting moods for different occasions. 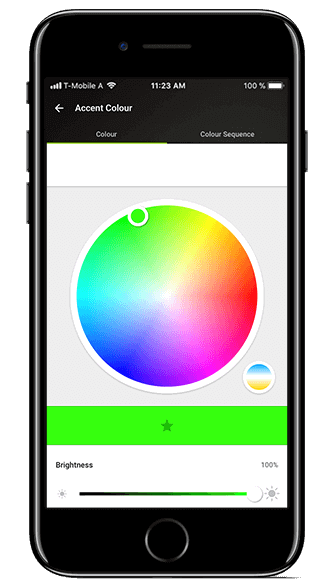 With Loxone, you can change the brightness of your lights and choose from hundreds of colours. 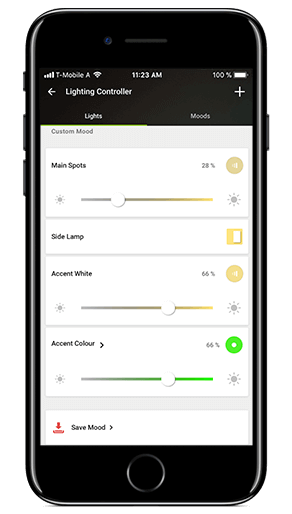 Your individual lighting moods can be created with just a few clicks in the app and changed again at any time. No matter where, no matter when. 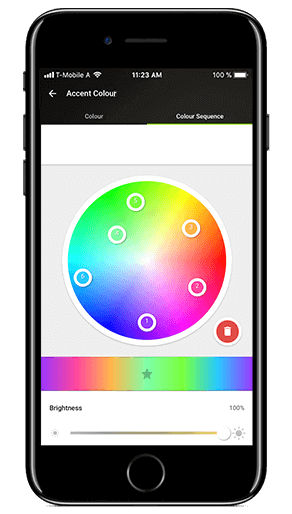 Create your own automatic colour sequence at any time. Simply select your favourite colors, desired order and interval time – done! 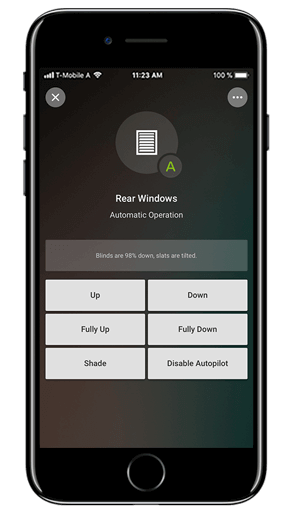 With the app, you can operate your curtains, blinds, roller shutters or awning automatically or take control manually. Forget complicated thermostats! 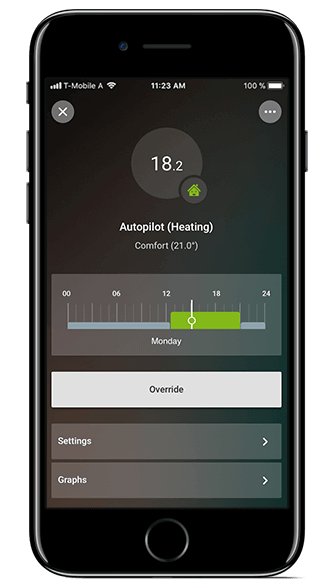 In the Loxone app you can set heating and cooling schedules and your comfort temperature. Loxone takes care of the rest. Of course, you can adjust the heating from the app, from anywhere in the world. 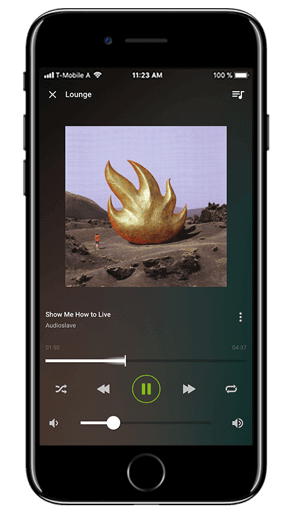 Easily control the Loxone Music Server via the app. Choose your morning playlist, favourites from your digital collection, or use streaming services like Spotify and Google Play Music. With Loxone you can enjoy your favourite music all over the house. 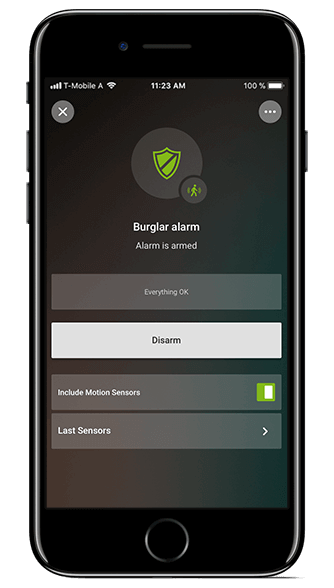 Enable or disable your Loxone alarm system through your app. You can also view the current status of your alarm, even when you’re out and about. Perfect for owners of a photovoltaic system. At a glance, you can see your home’s energy consumption, how much the PV system is producing and how much energy you’re getting from or supplying to the grid. 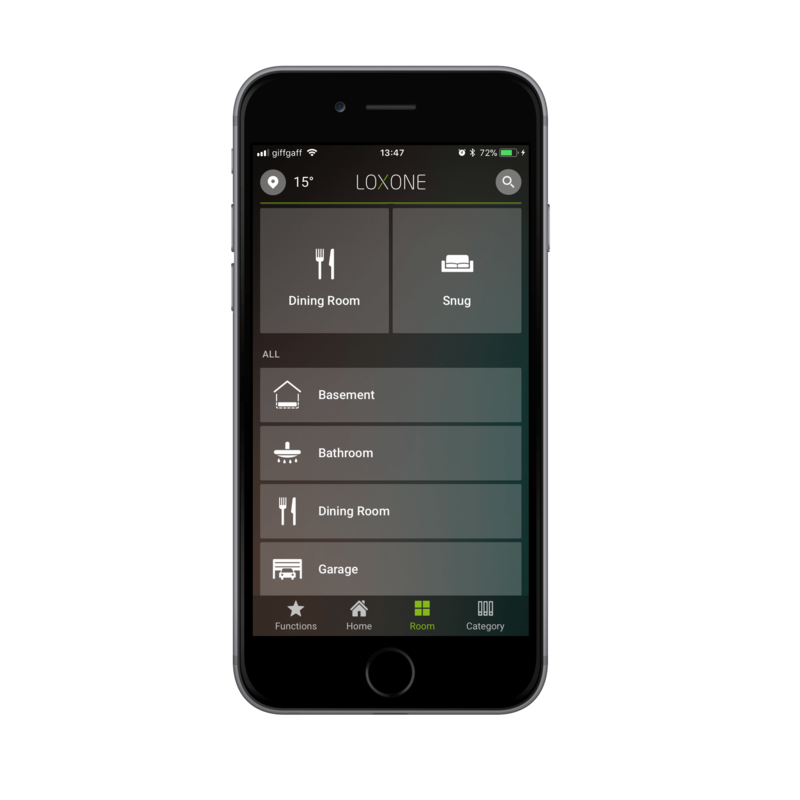 The Loxone app is perfect for sauna control. 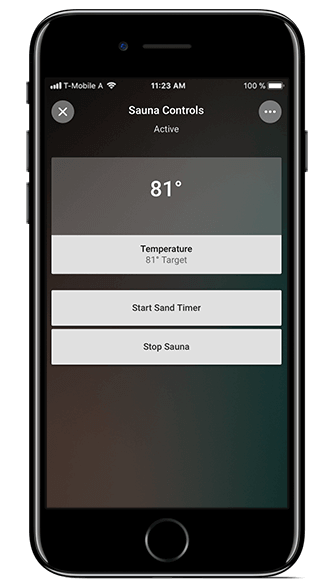 Turn the sauna on and off, switch sauna programs, set individual programs with temperature, humidity, lighting and more. You can even receive a notification when your sauna’s ready. 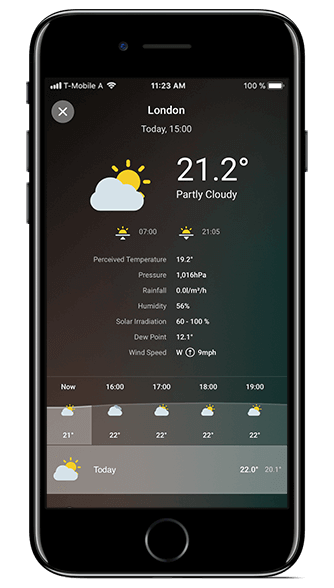 In conjunction with the Loxone Weather Service, and the Weather Station, you will receive exact weather data and forecasts for your location in the Loxone app. 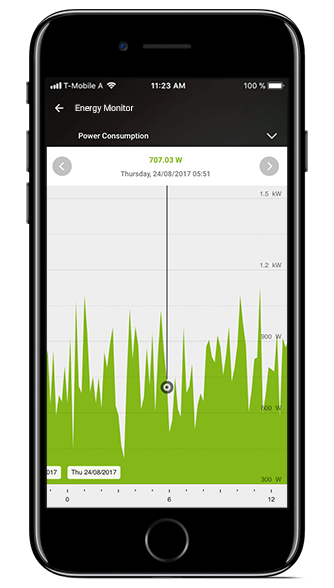 Your statistics are visualised perfectly in the Loxone app and can be analysed precisely with the zoom in/zoom out function. Perfect for monitoring your filters, pumps and other equipment that requires maintenance in your Loxone Smart Home. Planning to go away for a few days? 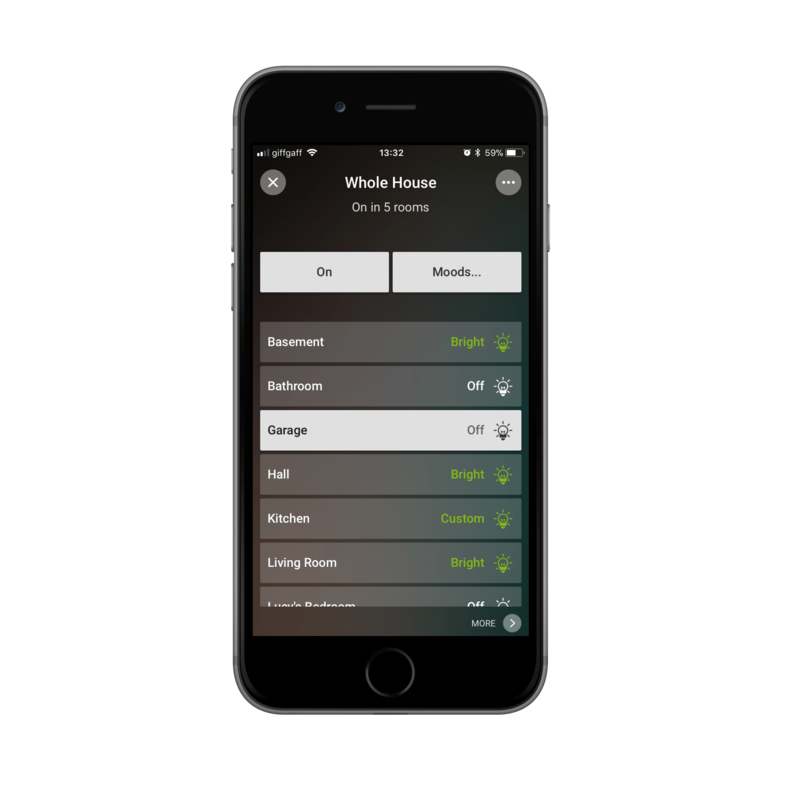 A tap in the app is enough to activate different operating modes, including an ‘Away’ mode; your home already knows what needs to be done whilst you’re away. Know when someone’s at the door and speak to them via the app. Missed the postman? 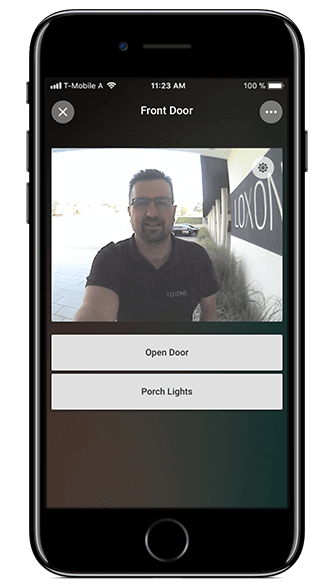 You can always see who’s rung your doorbell by viewing your visitor photos in the app. 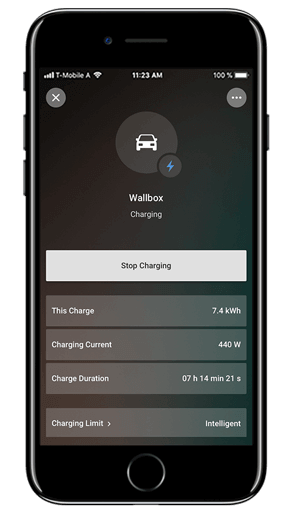 Integrate the KEBA KeContact P20 Wallbox into your Loxone Smart Home to manage and monitor the charging of your electric car to optimise your electricity consumption. Keep an eye on the current battery status of your Air products. This allows you to act quickly and change batteries as required. 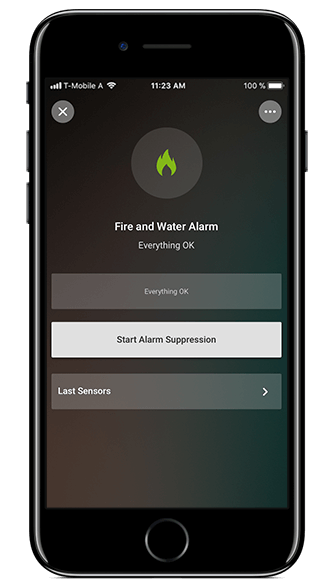 You can easily make your Loxone Smart Home a fire and flood detection system. In the event of an emergency, your home will inform you immediately. Be woken up by your Loxone Smart Home: e.g. gently bring on the lights, open the blinds and play your favourite song via the Loxone Music Server. The choice is yours! The app saves you from the hassles that come with pool maintenance. Define filter change times directly in the app. 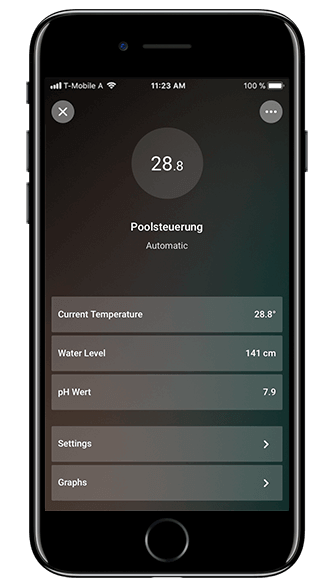 Schedule pump actions, check temperatures and water levels, control your pool cover and much more…automatically! 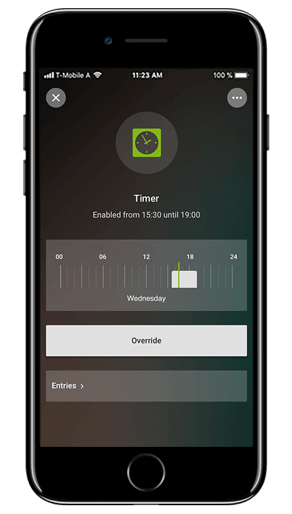 The Miniserver has extensive time functions which you can control via the app. Define times for certain actions to occur, including factors such as day of the week or operating modes (eg. entertaining, party). 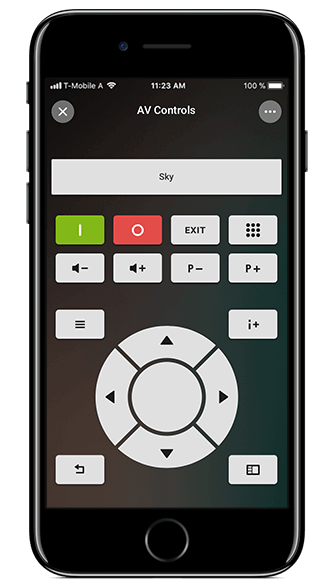 With the Loxone app, you can control your multimedia devices easily and cut down on the number of remotes cluttering up your coffee table. 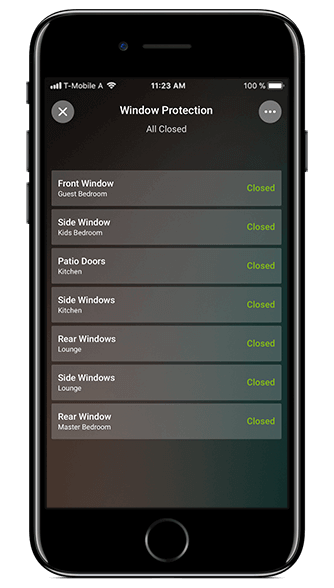 Control your garage door via the Loxone app or check the status of a door when you’re not home for peace of mind. 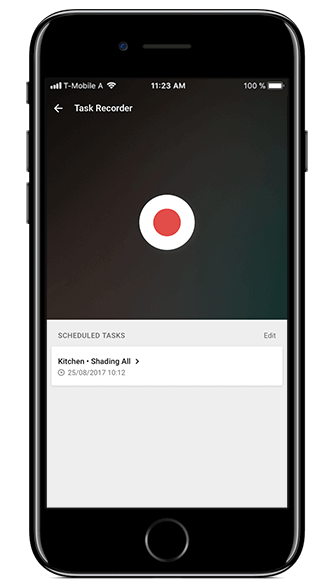 With the help of the task recorder, you can record any series of commands via the app and save them. Then define a time when the tasks are to be processed and your Miniserver will do the rest! 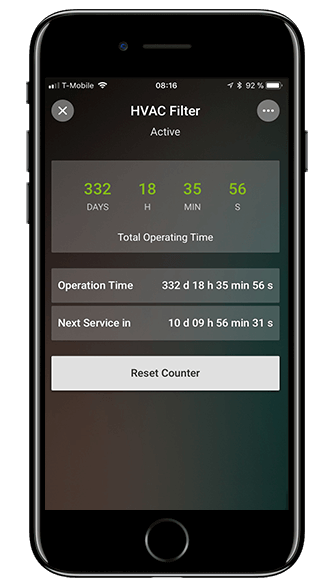 With the Loxone app, you can keep an eye on your doors and windows around the clock. 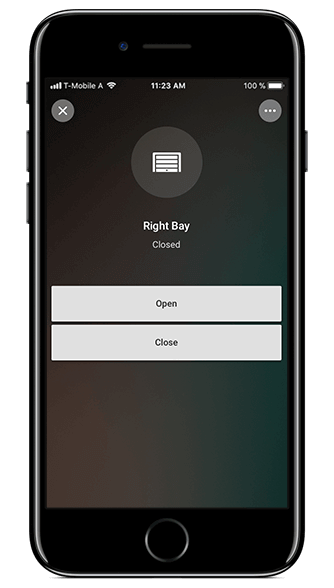 With a single look in your app, you can see at any time, from anywhere, whether you’ve left any doors or windows open. 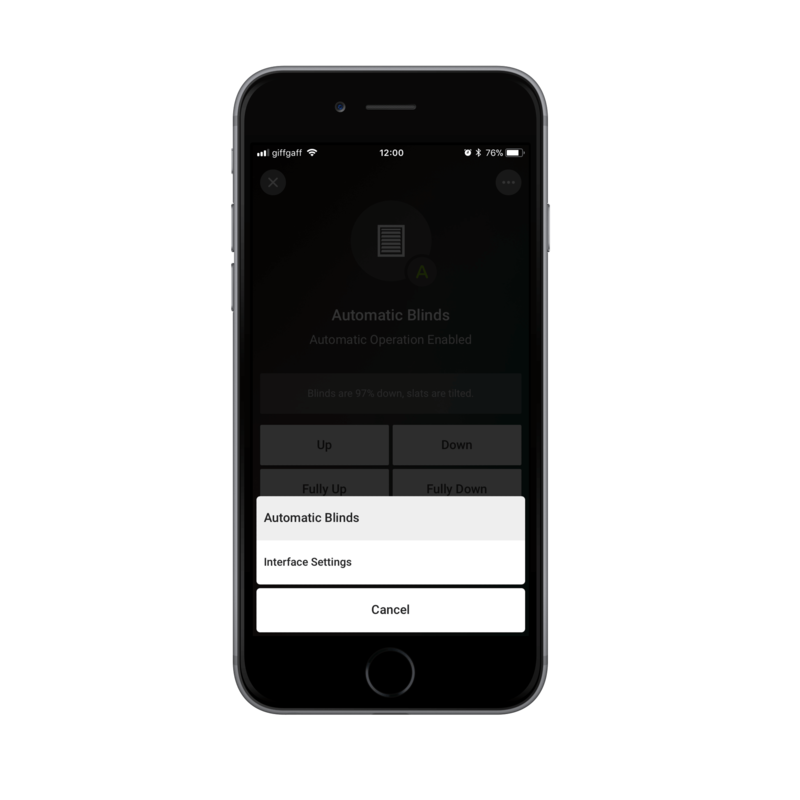 With Quick Actions you can now run important functions in your smart home even faster or set a specific position for the app to open at. Quick Actions are possible only on Apple devices with 3D touch support. Alarm active. Overheat temperature exceeded. The Loxone App sends free definable Push Notifications for iPhone, iPad and Android. So you are immediately informed when it matters. 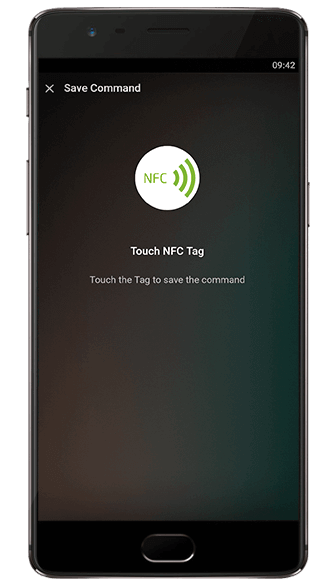 With our app for Android, you can make use of NFC technology in your smart home. 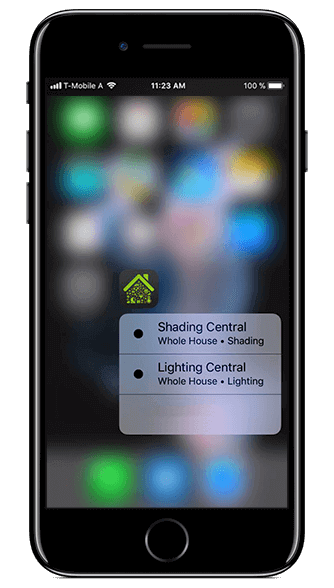 Get instant access to your favourite smart home functions with our handy little tags. 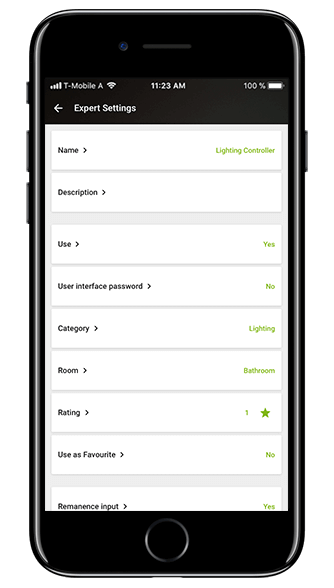 The Loxone Smart Home app also supports QR. 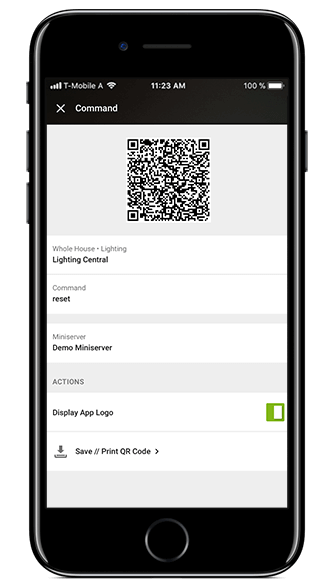 Generate simple QR Codes and assign them functions for lightning fast control of your smart home. 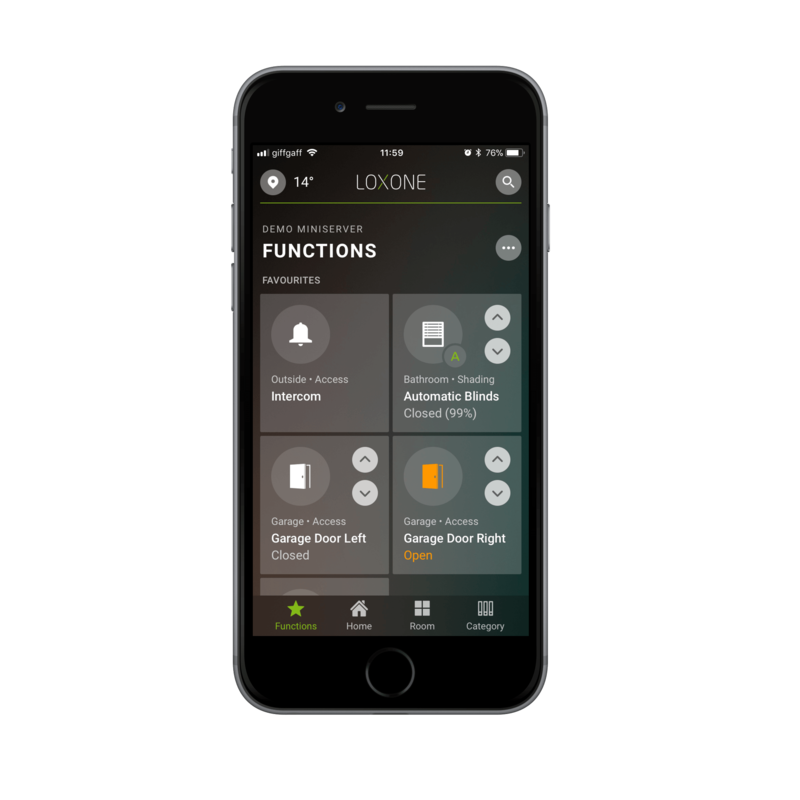 Change the parameters of your Config or the settings for your user interface all via the Loxone Smart Home App. 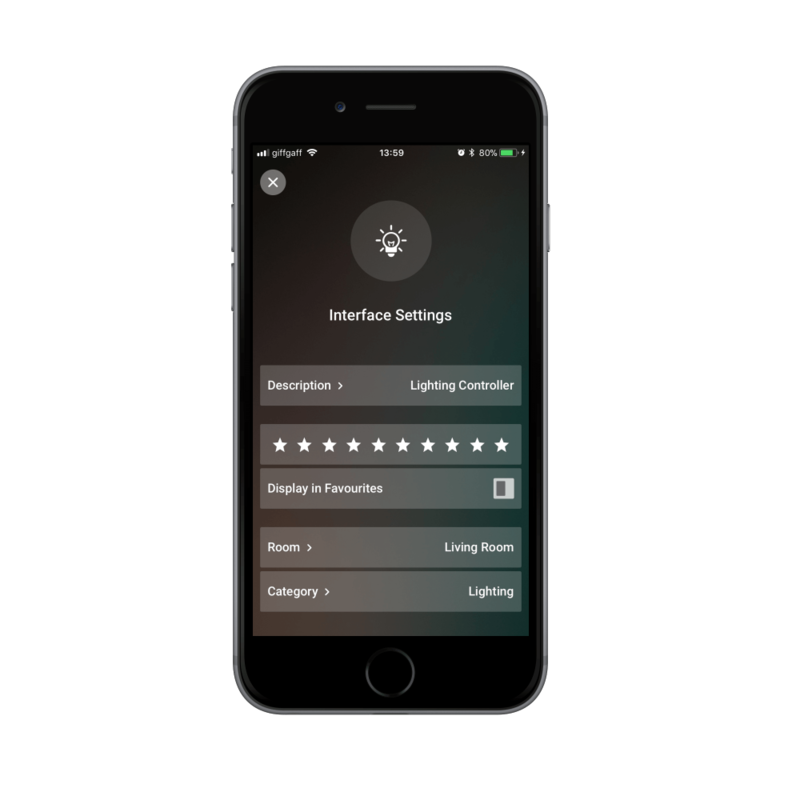 These settings are also changed in the Config file, so we recommend that only smart home professionals use this feature. You can change basic properties in your app or user interface at any time, including icons, names, favourites and more. 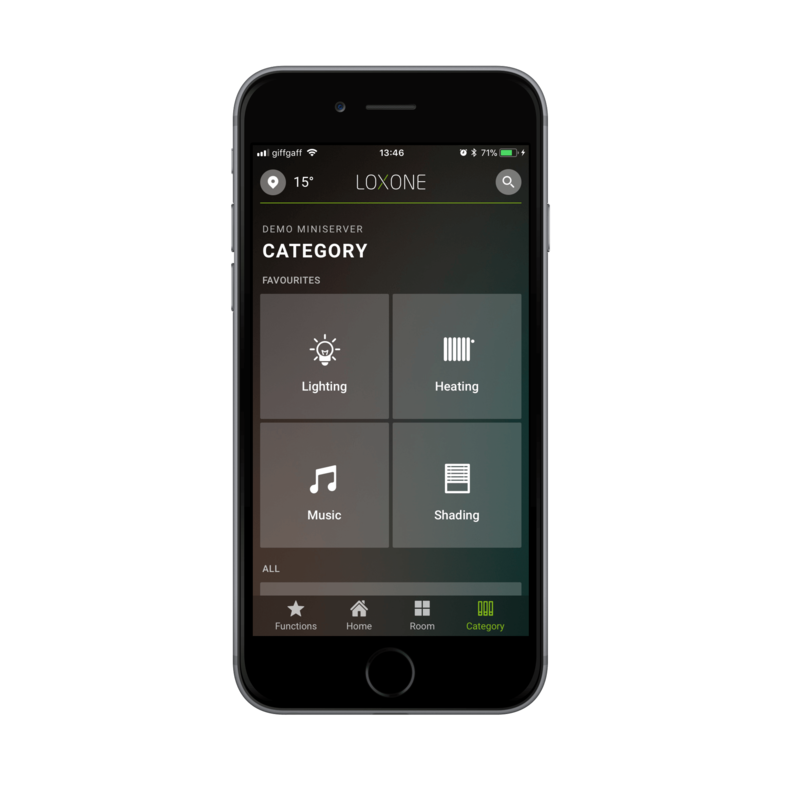 There are many other features available for your smart home with the Loxone Smart Home App. 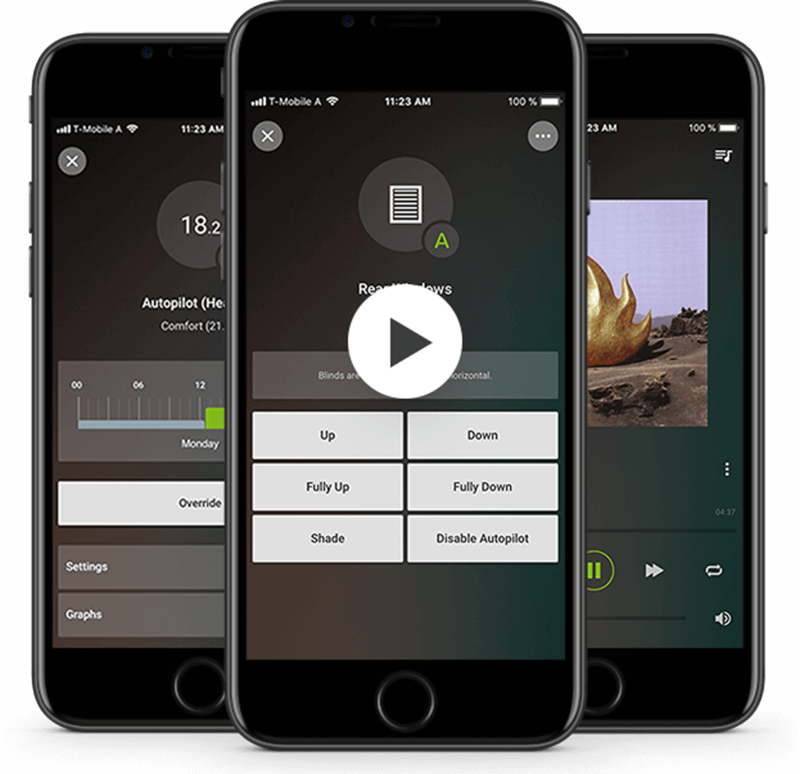 Download our app from the Apple App Store, Google Play Store or Amazon App Store and give our demo features a try. Note: Our web interface is supported by Google Chrome, Mozilla Firefox and Microsoft Edge (Beta). Interested? Then let's talk about your smart home! We'll be happy to answer your questions about life in a Loxone Smart Home and help you find the perfect Loxone Partner. 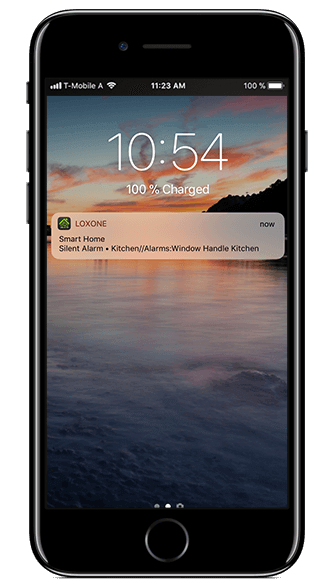 The Loxone Smart Home App continues to improve with regular free updates, packed with new features and functionality for your smart home. For the latest news about Loxone Config, be sure to check out our blog!